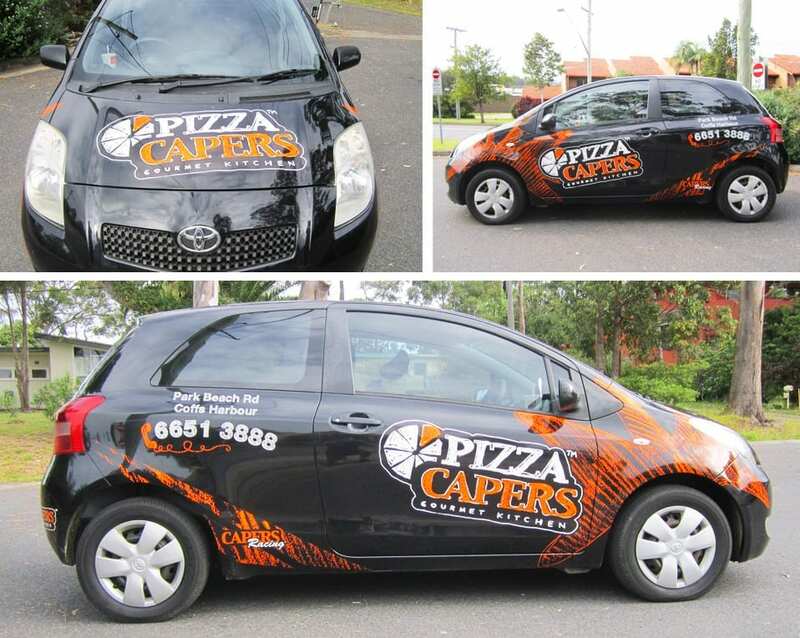 PIZZA CAPERS ONE OF OUR LARGEST FRANCHISED COMPANIES AND CLIENT.O. 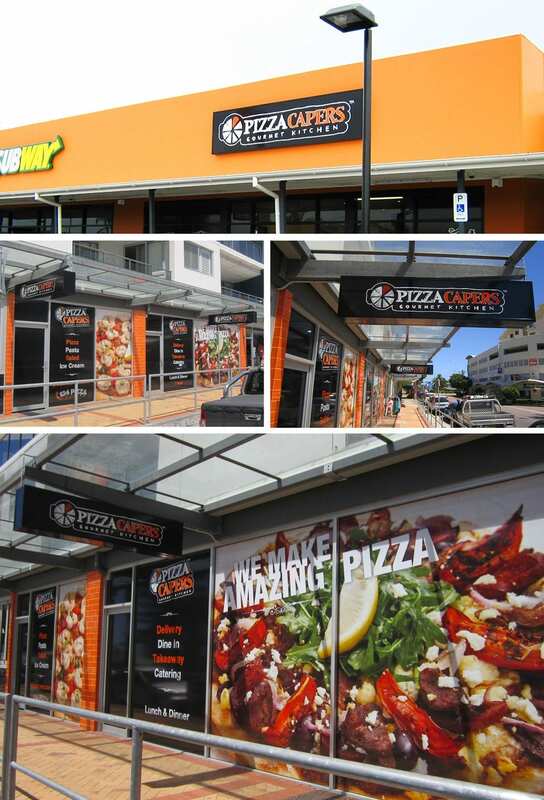 We have been working with Retail Food Group and Pizza Capers for the past 9 years and have completed well over 150 stores for them during this period, stretching across every state of the country. The exterior signage for each store will often be illuminated and 3D fabricated with a digitally printed logo applied to the face of the acrylic. Window graphics are a constant requirement for each store that help enhance the brand and display food graphics and details of what’s actually available in store. 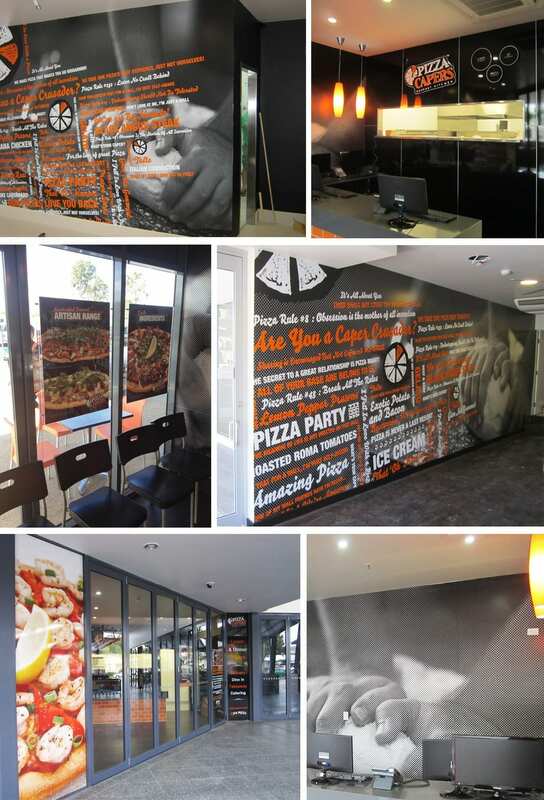 Wall graphics and internal pass-through signage as well as posters and timber frames are also a feature that is provided as standard. We manage each store adhering to our brand guidelines and experience of what can and will work best based on that particular location and building. We also look after the vehicle for each franchise. A solid relationship based on reliability and trust we find has been key to our solid long lasting relationship between ourselves and Pizza Capers. Long may it continue. PIZZA CAPERS – ORDER GOURMET PIZZA ONLINE IN THE RESTAURANT OR FOR DELIVERY. The year was 1996 and at the time the convenience food market was overflowing with cheap and nasty ‘junk’ food. There was a real need for change, and it came from the relaxed and leafy suburb of Kenmore in Brisbane’s west – the location of the very first Pizza Capers kitchen.